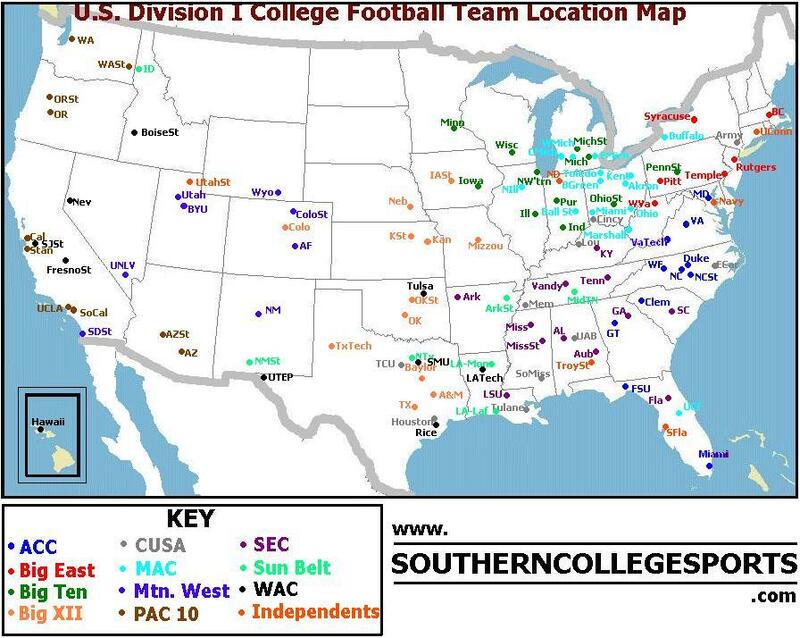 This map shows the geographic location of each of 117 Division I college football teams. These teams come from the Independents plus eleven conferences. Each conference is given a special color (shown in key), and the name of each school is labeled next to its marker.